At University of Scouting, you will find training opportunities that will directly assist your daily efforts to support your youth and their programs. Registration is open to all registered adult volunteers, interested parents, and older youth for specific courses. 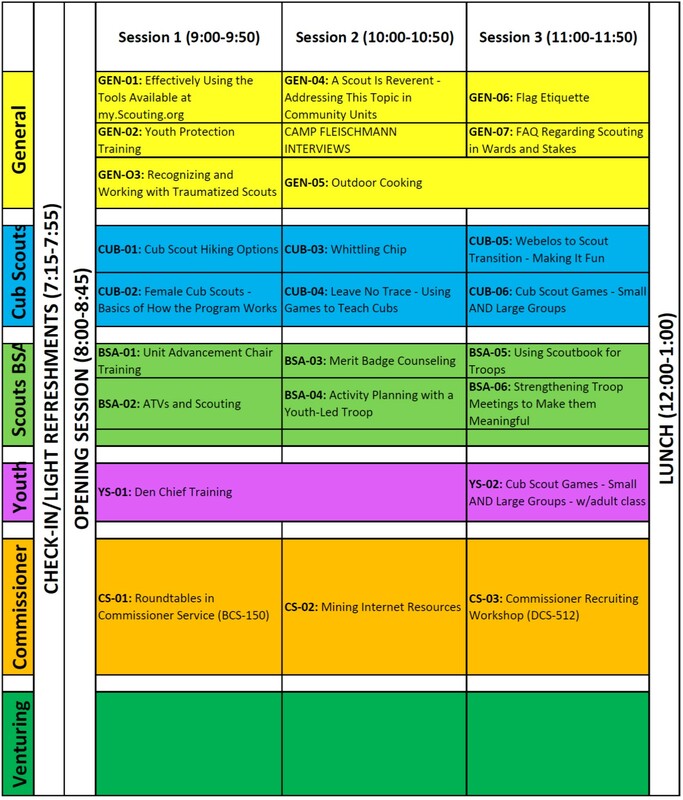 There are two major training events in Nevada Area Council each year. 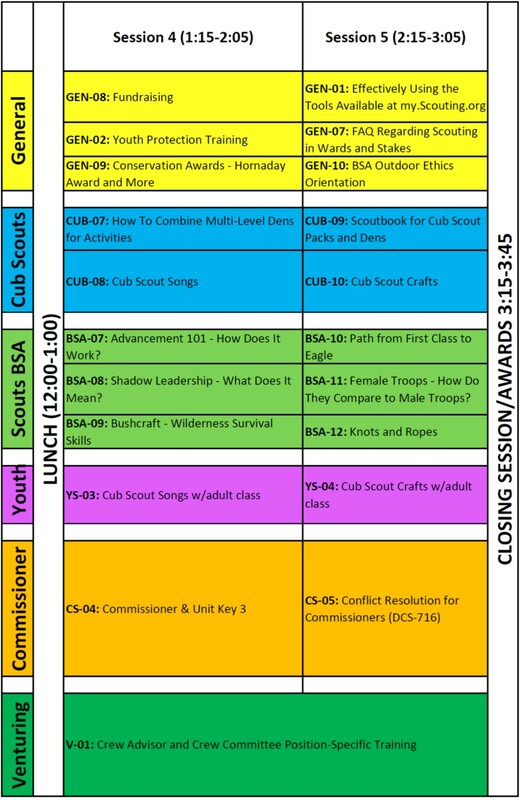 By hosting a University of Scouting in both the East (Elko area) and West (Reno area), the hope is that all Scouters throughout the Council will be able to attend at least one of the events. The 2019 NAC-EAST event will take place at Great Basin College on Saturday, February 23rd, from 7:30AM to 3:45PM. There will be training opportunities that will directly assist Scouters' daily efforts to support youth and Scouting in their units. Attend for the full day, or feel free to stay for just part of it. Childcare will be provided for the day for $7/child. Childcare waivers must be signed upon drop-off for children to participate. Childcare cost includes snacks, program supplies, and lunch. After 2/15/2019 a fee of $5.00 will apply to all Participant and Staff Registrants. No refunds will be offered for cancellations but registrations may be transferred to another Scouter. The participant taking over the registration must check-in at the event and indicate whose registration they are assuming. Substitutes should plan to attend the classes on the original registration.